This may be a hard blog post for some people to read, but I really need to tell Roo’s story. I feel it would be unfair to her if I didn’t record it. It was the worst day of my life, but it was incredibly important. As some of you know, I went into the ER on April 7th. I was having bleeding and cramping, and I was so afraid for Roo. The doctors reassured me that everything was just fine with our baby. That week I continued to bleed, and I continued communicating with my doctor. Then on Friday I started having back pain. It was coming in waves, and I had a feeling it might be labor. I knew it was way too soon, as I was just 19 weeks that day. I told myself that if I could sleep through the night, then it wasn’t labor. It seemed to go away by Saturday, and it got better as I moved around. Match and I had a great Saturday. He did things around the house for me, helping me clean, tidying up. We put up drapes in the living room, and we nested together. Then we went out for dinner and enjoyed a great date night. That night the back pain started getting worse. I powered through it, because everything else was the same. I wasn’t bleeding any more than normal, and I wasn’t cramping. Match fell asleep, and I laid in bed, silently pleading with Roo. I knew I was in labor, but I kept hoping it was false. By 2am I couldn’t take the pain anymore. Match woke up to me doubled over the bed moaning. My back contractions were 4 minutes apart. We drove to the ER and they saw me right away. The doctor checked my cervix, and said it was very slightly dilated. I tried not to panic, because I knew there must be something they could do. I had read about countless women who started dilating and how doctors were able to give them medicine, stitch them up, and they delivered healthy babies. Then the doctor told us that my water had broken, and that there was very little amniotic fluid. They sent for an ambulance, as our hospital doesn’t have labor and delivery. Match had to leave me and drive ahead. It was so awful being separated for that 30 minute drive to the other hospital. I did my best to stay positive, and I even cracked jokes with the paramedic. Once we got to the hospital, Match was pacing outside waiting for us. We were seen almost immediately by the on call OBGYN. She checked my cervix and did another ultrasound. She confirmed what the other doctor had found, and then dropped the bomb that not only did I lose too much amniotic fluid, but there was no way for me to get it back. She gently told us that the baby was coming and there was nothing they could do to medically intervene, and that the baby wasn’t viable. All they could do was try to make the delivery as comfortable for me as possible. Match and I held each other while we sobbed. The nurses in the room cried right along with us, and even the OB teared up. Their hearts broke for us. Our little Roo was coming into this world, and there was absolutely no way we could save her. Match called his parents and asked them to get there right away, so that his mom could help me through the delivery. I will never forget the awful sound of his wail as he told her our baby was dying. My heart broke in a million pieces right then. Then I had to call my parents and tell them the terrible news. My mother was a wreck because she couldn’t be there for us. She couldn’t fix this. No one could. The medical team was so good to us. They were so nurturing and kind. They reassured me that Roo wouldn’t suffer, and that even though the heart still beat, Roo wouldn’t feel a thing after delivery. They induced me, and they offered me an epidural to take away the pain. I refused, because I didn’t want the side effects. So instead they gave me pain medication to help take the edge off, and I went through the entire labor process. Once the inducement kicked in, the pain became unbearable. I could handle the physical, but the emotional was taking its toll on me. Every time they told me to breathe I would sob. This was not how it was supposed to be. This is not how Roo was supposed to come into this world. Finally I couldn’t take the pain anymore and I asked for the epidural. Just as they were about to give it to me, Roo gave me one last gift and came into this world before they could administer the epidural. I didn’t have to push, and because she was so small she came right out, and I didn’t have any tearing. The nurses wrapped her up and handed her to me. Match told me she was beautiful. I was so sad, but I had to hold her. I had to see her for myself, and make sure she felt my touch. The nurse told me she was a little girl. She was born at 10:39am and weighed 7.1 ounces, with beautiful long fingers and the sweetest little chicken legs. She was so small, but so perfect. They encouraged us to take photographs. I’m not sure we would have had the presence of mind to do so otherwise. In hindsight I’m so glad we did. I wish we had even more. I never want to forget her sweet little face, or the way her fingers were so long and graceful. I held her close and I hummed Safe and Sound. The nurse asked me if we had a name. I said we did, but to me she would always be Roo. I just kept saying, “Oh Roo, my poor little Roo.” Match and I agreed that was the name we wanted on the birth and death certificate. My in-laws arrived just after she was born, and they got the chance to say their goodbyes as well. After we’d had our time with her, the nurse took her away. I’ve never felt so empty in my life. Match crawled into bed with me and held me while we cried ourselves to sleep. The doctor discharged me after just short of 8 hours, and allowed us to go home to mourn. We drove home and I began the painful process of calling all of our close family and friends. We wanted to rip the bandaid and tell everyone in one day. I didn’t want to repeat the story more than I had to. Once we got home, Monkey could tell something was wrong. He curled up in our laps and we sobbed into his fur. He did his best to comfort us as only a beloved pet can. That night I barely slept. I sat in Roo’s nursery and wept for our baby. As the grief books said, saying goodbye to a child is like saying goodbye to your future. All of the hopes and dreams we had for her are gone. It’s been a week today, and we are starting to heal. I have good days and bad. I have mornings where I wake up crying, and then other days where I make it the entire day dry eyed. I know it will be a roller coaster, and I know there will be ups and downs. Roo gave us so much. I didn’t think it was possible to be any closer to my husband, but we are closer than we’ve ever been. I know that if we can get through this, we can get through anything. Match said that Roo gave him the gift of fatherhood. He knew he always wanted to be a dad, but now he has no doubts. We will always be Roo’s parents, but we will also one day get the chance to raise a child. She blessed us with her presence, no matter how short. I know that when we’re ready she will guide our future baby to us, and be its guardian angel. She was with us for such a short time, but she will always, always be in our hearts. We love you baby girl. 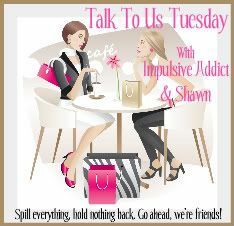 I’m sharing Roo’s stories with two amazing mamas Impulsive Addict and Seriously Shawn. My husband asked me if I was okay as tears are running down my face reading this. I am glad you shared this and you do whatever you need to to grieve and heal. This is your safe place to say what you think and no one has a right to judge you and I hope no one does. We are all here for you. I’m crying for your loss at work right now. You are so brave. I hope that sharing your grief has helped- there’s a proverb that says “shared happiness, happiness doubled; shared sadness, sadness halved.” Sending lots of love your way. Thank you for sharing your experience and pain. Thank you for introducing me to your little angel. I will be praying for her. She’s with my angel too. Much love to you. I’m still at such a loss for words for you two. Just know we are all still thinking of you guys and your sweet baby Roo. Oh man…tears are flowing. How can a post be so sweet and so sad at the same time? It’s perfectly written and I’m glad you decided to share pictures. She is precious. This is your blog and what you share is up to you. I truly hope nobody ruins that for making a rude comment because you know assholes exist. I love you and continue praying for you and Match. Thanks again for sharing. PS. Can I link this up tomorrow? Thanks for sharing Roo’s story and pictures. I cried while reading this. I’m so sorry you had to go through this. Roo is watching over you now, though. I will continue to keep you and your family in my thoughts. Thank you for sharing your story. I am soo sad for you – I am so sorry for your loss. Thank you for sharing her story- and her- with us. As we tear up reading, we can tell what beautiful parents you are to her, and will be to her siblings some day. Oh, DG. My heart is breaking for you right now…all over again. You and Match have been in my thoughts and prayers these past couple of weeks. I’m so sorry for your loss. Your words are beautiful and I’m glad you told Roo’s story. It definitely deserved to be told and written down for others to read. I know that this will touch many people and I’m sure you’ll help someone else out there who is going through a similar situation. If writing this down and sharing it helps you heal, then you go right on ahead. I am honored you wanted to share such a special piece of your life with us. You are such a strong girl, and it’s very apparent the connection between you and Match is just as strong. You both will make it through this. I’m praying for you always! I am crying with you and for you. You told her story beautifully and I am so glad you did. I can’t begin to comprehend your loss but please know that I am thinking of and praying for you. Thank you for sharing Roo’s story with all of us…I’m sure it wasn’t easy for you to write. Know that we’re all here, giving you a big virtual hug. what a beautiful, heartbreaking post to read. i agree with what others have said – thank you for sharing roo’s story with us. i know that you and match are going to make wonderful parents and that roo will always be in your hearts. My heart just breaks for all three of you. My thought are with you and Hopefully the healing goes smoothly for both of you. I just can’t process it all…I can’t imagine. 🙁 I’m so sorry. My daughter has been through this too. It’s a very hard thing to do. Her first came too early also. She later had a son that she adores. Then had a little girl… she lived to be 4 months old. Thank goodness for that little boy. You’ll get stronger as the days pass, I know you will. thank you so much for sharing this story with us. my thoughts are with you and match. so many hugs from the ec! Roo’s story is both heartbreaking and beautiful. Thank you for sharing. The two of you continue to be in my thoughts and prayers. Oh, hun. I am SO incredibly sorry to hear this. So very sorry 🙁 I couldn’t make it through this post with dry eyes. My thoughts and prayers go out to you and Match. You are such a beautiful, strong couple and, though her time with you was brief, I’m glad she could bring you even closer than ever before. *HUGS* I am here if ever you need, girly. Okay, I finally read your sweet post and am so heartbroken for you because I know how much this meant to you- for anyone to have a baby on the way and I just wish there was more I could do as a friend to heal your hearts. You are a brave Momma and I’m here for you anytime you need me! Oh sweetheart. She is beautiful and so are the two of you. I’ve been thinking about you constantly. About how unfair life can be. I am so happy to know that the two of you are pulling together to make it through this nightmare. Thank you for sharing your beautiful and heartbreaking post. Roo is beautiful, and perfect. You are so strong and brave, and I am so sorry for your loss. My thoughts and prayers are with you and Match. this is one of the most touching things i’ve ever read. like everyone else, i cried when i read it. it sounds like you and your husband will be amazing parents again one day soon; i wish your family the best!